Want to discover how Investment bankers, analysts and individual investors use financial accounting information to arrive at a Valuation for companies such as Google? 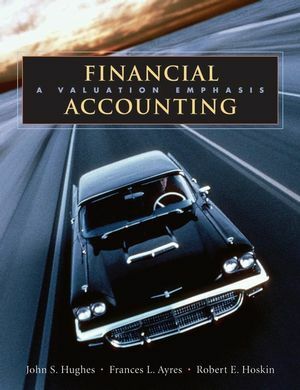 The first edition of ‘Financial Accounting: A Valuation Emphasis’ brings new perspectives to the fore in laying a foundation for understanding and interpreting financial statements and related accounting disclosures in estimating firm value, where “the rubber meets the road”. Considerable emphasis is given to the economic consequences of accounting practices. Intended for the core introductory financial accounting course at the MBA / EMBA level or an honors course / strong accouting program for undergraduates. The book provides a solid background in basic accounting processes and disclosures emphasizing the valuation role of accounting throughout. Dr. John (Jack) Hughes holds the Ernst & Young Chair in Accounting at UCLA. He joined the UCLA faculty in 1999, having formerly been a member of faculties at Western New England College, Dartmouth College, Duke University, University of Minnesota, and University of British Columbia. He has won teaching awards in MBA programs at Duke and British Columbia and in undergraduate programs at Western New England, Purdue, and Minnesota. Professor Hughes currently teaches in the MBA, Ph.D., and undergraduate programs. His present MBA course assignment is financial statement analysis, a course that emphasizes valuing equity from fundamental analysis. At the undergraduate level, Professor Hughes recently taught a course on Special Topics in Accounting that explored recent accounting scandals and their economic consequences and valuation implications. He serves as the accounting area Ph.D. advisor. Professor Hughes has over 50 articles either published or forthcoming in major academic journals in accounting and economics, including The Accounting Review, Journal of Accounting Research, Journal of Accounting and Economics, Review of Accounting Studies, Econometrica, Journal of Economic Theory, RAND Journal of Economics, and Journal of Law and Economics. He is cofounder and a coeditor of the Review of Accounting Studies. Professor Hughe's personal interests include cycling in the nearby Santa Monica mountains and rock climbing at his summer residence in British Columbia. Dr. Frances L. Ayres Ph.D., CPA is currently the Director of the School of Accounting and is the John W. Jr. and Barbara J. Branch Professor of Accounting at the University of Oklahoma. She received her Ph.D. in Accounting at the University of Iowa. She has been a faculty member at the University of Oaklahoma for 22 years. Her teaching focus is in the Financial accounting area. She has taught introductory financial accounting to undergraduates and MBAs, intermediate financial accounting, accounting theory, and financial statement analysis. Dr. Ayres has published in numerous academic and professional journals, including the Journal of Accounting and Economics, the Journal of Accounting Research, The Accounting Review, and Management Accounting. She serves as an ad hoc reviewer for several journals and serves on the editorial boards of The Accounting Review and Journal of Accounting and Public Policy. She is past editor of the Journal of the American Taxation Association and currently serves as president of the American Taxation Association. Her research interest focus on the impact of taxation and financial information and disclosures on managers and investors. She also serves on the Board of Directors of the Oklahoma City Chapter of the Financial Executives Institute and has served on the Business Advisory Board for Los Alamos National Laboratory. Dr. Robert (Rob) E. Hoskin is currently Accounting Faculty and Director of Executive Programs at the School of Business, University of Connecticut. He received his Ph.D. from Cornell University in 1980 and taught for six years at the Fuqua School of Business, Duke University, before coming to the University of Connecticut. Dr. Hoskin has since served as Director of the Executive MBA Program and as Associate Dean prior to his current role. He spent six months with Price Waterhouse in 1990 as a faculty intern. He currently teaches primarily introductory Financial Accounting to MBAs, a course in financial services (Insurance and Banking) in the MS in Accounting Program, as well as several executive education programs in the insurance and banking arena. CHAPTER 1. Financial Reporting: The Institutional Setting. Reporting of the Activities of the Firm. 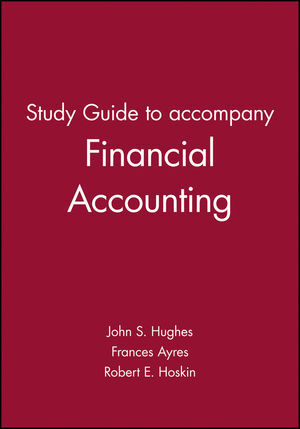 Determining Generally Accepted Accounting Principles. Independent Audits of Financial Statements. Economic Consequences of Accounting Practices. CHAPTER 2. Financial Statements: An Overview. STATEMENT OF FINANCIAL POSITION: ROSS STORES. Flow Statements: Changes in Financial Position. Articulation of the Financial Statements. Statement of Changes in Stockholdersâ?? Equity. The Influence of Financial Statements. CHAPTER 3. The Accounting Process. An Illustration of Transaction Analysis. ANALYSIS OF FINANCING AND INVESTING ACTIVITIES. Using Journal Entries and T-Accounts to Record Transactions. Using the Accounting Equation to Analyze Operating Activities. Purchasing Inventory on Account (Transaction 4). Selling Inventory on Account (Transaction 5). Recognizing Cost of Goods Sold (Transaction 6). Paying Accounts Payable (Transaction 8). Paying Selling and AdministrativeÂ Costs (Transaction 9). CHAPTER 4.Â Income Measurement and Reporting. As Service Is Provided or Cost Incurred. REVENUES THAT ARE RECEIVED IN CASH BEFORE THEY ARE EARNED. REVENUES THAT ARE EARNED BEFORE THEY ARE RECEIVED IN CASH. EXPENSES THAT ARE PAID IN CASH BEFORE THEY ARE INCURRED. EXPENSES THAT ARE INCURRED BEFORE THEY ARE PAID IN CASH. Valuation Implications of Income Recognition. CHAPTER 5.Â Financial Statements: Measuring Cash Flow. CASH FLOW FROM OPERATING ACTIVITIES. CASH FLOW FROM INVESTING ACTIVITIES. CASH FLOW FROM FINANCING ACTIVITIES. Preparation of the Statement of Cash Flows. WORKSHEET ENTRIES FOR CASH FROM OPERATIONS. Revenue Adjustments to Net Income. Cost of Goods Sold Adjustment to Net Income. Depreciation Adjustment to Net Income. Prepaid Expense Adjustment to Net Income. WORKSHEET ENTRIES FOR CASH FROM INVESTING. WORKSHEET ENTRIES FOR CASH FROM FINANCING. SUMMARY OF CASH FLOW STATEMENT PREPARATIONâ? ?INDIRECT METHOD. Articulation of the Cash Flow Statement. Supplemental Disclosures to the Cash Flow Statement. Interpreting the Cash Flow Statement. Valuation Implications of the Cash Flow Statement. CHAPTER 6.Â Financial Statement Analysis. Illustration of Cost Flow Assumptions. Inventory Method Choices and Firm Value. LIFOâ? ?s Effect on Financial Statements. Financial Analysis and Inventory: Converting from LIFO to FIFO. CHAPTER 9.Â Valuing Long-Lived Assets. Creating Comparable Data for Financial Statement Analysis. Using Financial Ratios to Assess Past Performance. Using Financial Ratios to Assess Comparative Performance. ILLUSTRATION OF DOUBTFUL ACCOUNTS METHODS. REAL COMPANY ILLUSTRATION OF DOUBTFUL ACCOUNTS. Accounts Receivable and Revenue Recognition. EFFECT OF CHANGES IN ESTIMATES. OIL AND GAS EXPLORATION COSTS AND RESERVES. CHAPTER 10.Â Operating Liabilities: Recognition and Disclosure. Advances on Sales and Unearned Revenue. Pensions and Other Postretirement Benefits. CHAPTER 11.Â Debt: Pricing, Covenants, and Disclosure. Accounting for Discounts on Debt. CHAPTER 12. Stockholdersâ?? Equity: The Residual Interest. Stock Dividends and Stock Splits. Retained Earnings and Comprehensive Income. HELD TO MATURITY DEBT SECURITIES. CHAPTER 14. Introduction to Valuation Analysis. Overview of Fundamental Analysis Methods. PRO FORMA CASH FLOW STATEMENTS. Discounted Cash Flow (DCF) Approach. EXAMPLE OF DCF ANALYSIS WITH DEBT FINANCING. B. Time Value of Money. C. Comprehensive Case and Chicoâ? ?s 10K Report Fiscal 2002. Chapter feature highlights the valuation and economic consequences of core accounting concepts. 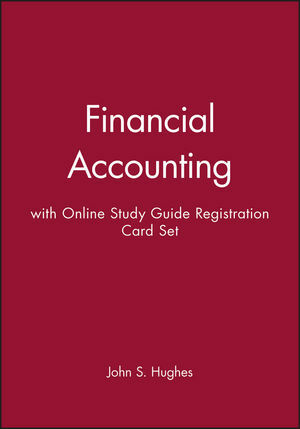 Emphasizes the construction of financial accounting information and how that information affects the value of the firm. The text has received high marks for readability, use of real-world examples, and real-world transactions. Provides early treatment of statement of cash flows and financial statement analysis. An integrated example of a hypothetical company illustrates key concepts including valuation models. Motivates students by helping them appreciate the significance of accounting information to managers, investors, regulators, and others with an interest in the firm's affairs.